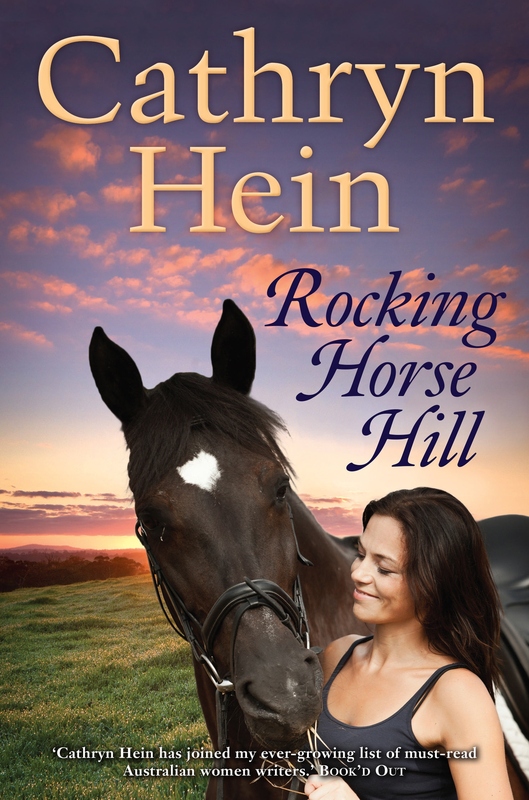 ROCKING HORSE HILL COVER REVEAL! 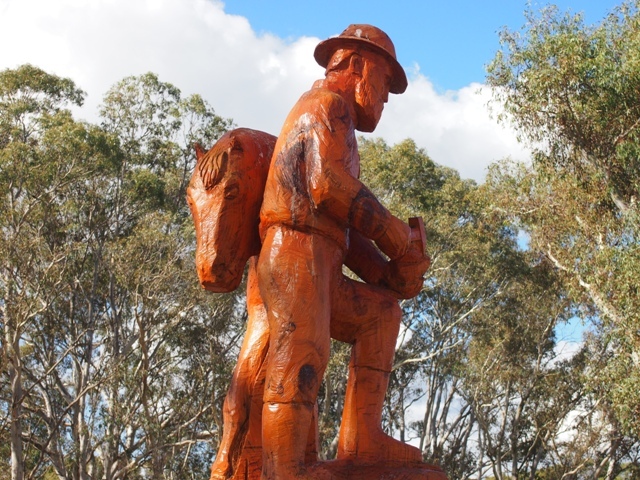 This entry was posted in Rocking Horse Hill and tagged Australian Authors, Australian fiction, Australian novels, Australian romance authors, Australian rural romance, Australian stories, Australian Writers, Cathryn Hein, Rocking Horse Hill, Rocking Horse Hill by Cathryn Hein, rural romance, South Australia, south east South Australia on February 17, 2014 by cathrynhein. I’d rather hoped to be posting photos of my glamour-filled trip to Polo In The City, an event held last weekend in Melbourne’s Albert Park but, alas, it was sold out. Nevermind, that gives me the opportunity to post some photos I’ve been meaning to share for ages. 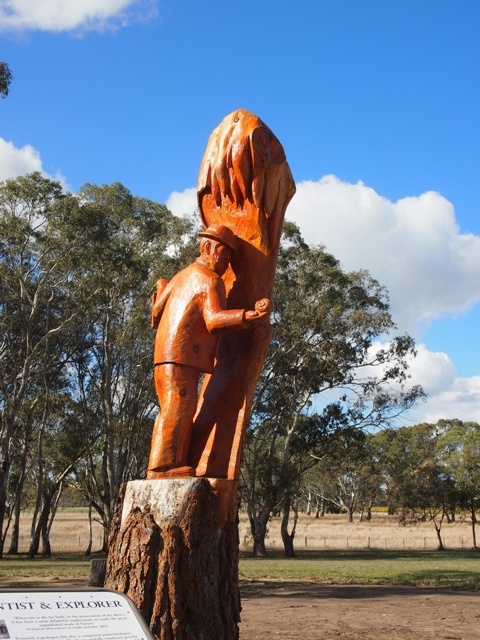 Father Woods Park is situated about 20 kilometres north of Penola in South Australia’s south east – God’s country as we extremely biased born and breds like to call it. 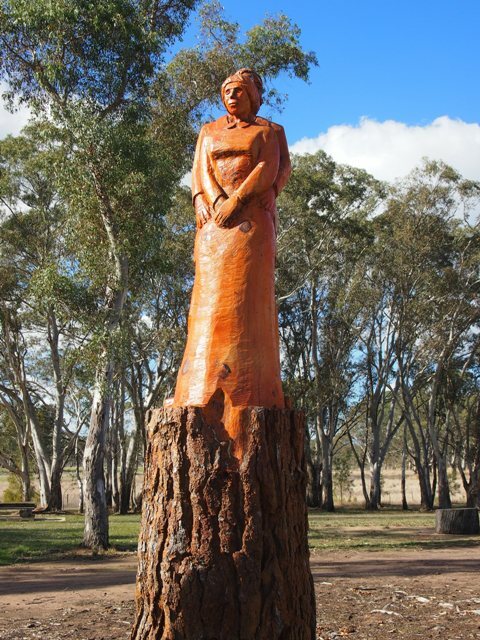 I only discovered the park’s existence during the library tour I did around the area back in May, when we zoomed past late one afternoon on our way from Mount Gambier to Bordertown. 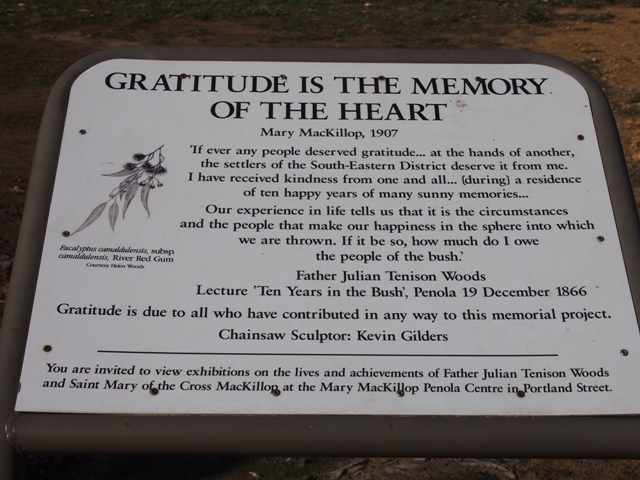 I was booked for an afternoon talk in Naracoorte later that week and so vowed to call in then for a proper look at the park. 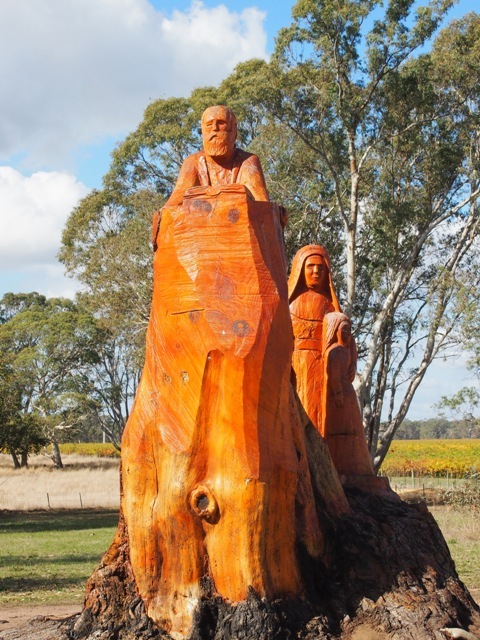 It’s a gorgeous place, filled with wonderful vivid timber sculptures that reflect the life of Father Julian Tenison Woods and his close association with Australia’s first Catholic saint, Saint Mary McKillop of the Cross. 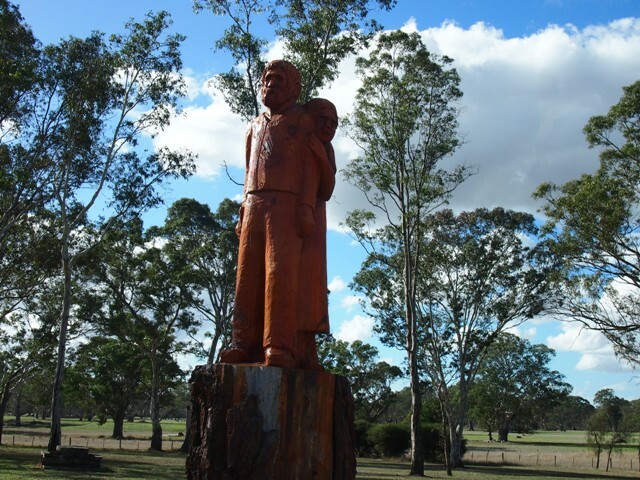 I think you’ll see from the images that this is a must-stop attraction if you’re ever in the area. 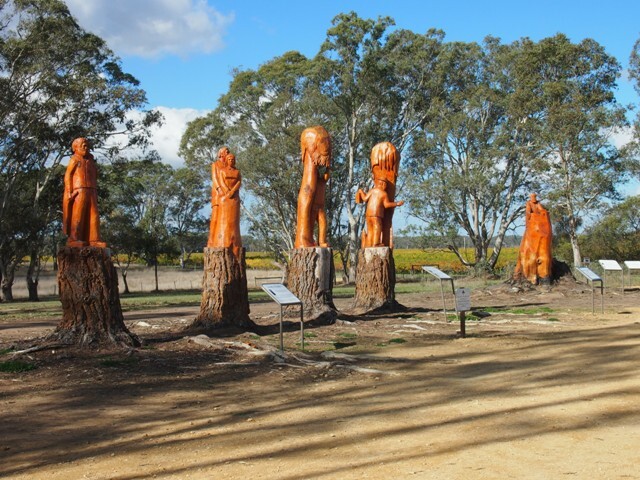 The sculptures are stunning, the location magnificent and it’s a great way to discover a bit of local history. 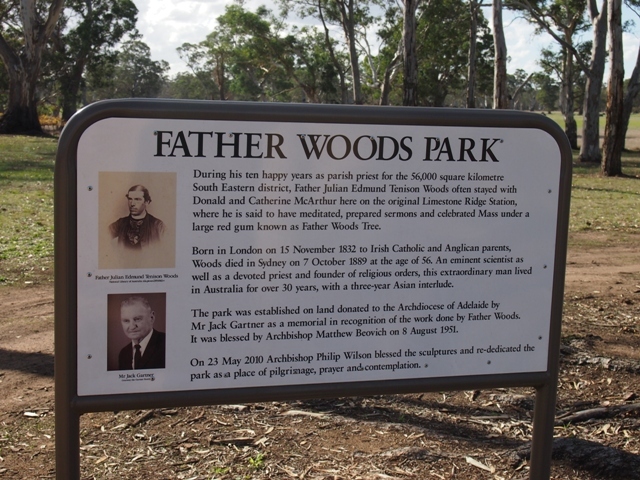 This entry was posted in This Writing Life and tagged Australian history, Cathryn Hein, Father Tenison Woods, Father Woods Park, Mount Gambier, Penola, Saint Mary MacKillop, South Australian tourist sites, south east South Australia on December 5, 2012 by cathrynhein.